Repair Costume jewellery London Hatton Garden UK. 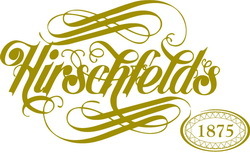 We specialise in repairing broken costume jewellery and repairing fashion jewelry. We can give your costume jewellery a new lease of life. Do you have a broken piece of jewelry, a sentimental piece of jewellery, or a family heirloom lying at the bottom of your jewellery box or drawer? Bring in your fashion jewellery, broken jewellery or sentimental piece of costume jewellery that may be hiding in the bottom of your jewel drawer, such as a costume necklace that was once worn and loved. In our Hatton Garden London repair shop we have all the tools and machinery necessary to fix and clean costume rings, costume earrings, costume bracelets, costume necklaces and miscellaneous costume jewellery items. Vintage Costume Jewelry, antique costume jewellery, Designer costume jewelry, Art Deco & Retro Costume jewelry. Putting on new pins onto costume jewellery. 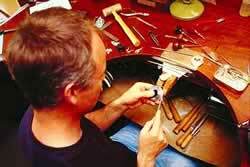 Paste jewelry repairs London. Replacement stones for Costume jewellery. Matching paste stones to match the jewel. Supplying paste stones or supplying cubic zirconia (zirconium) to match the jewellery. 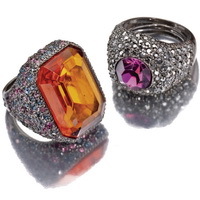 Coloured cubic zirconia in various colourful shades. Converting clips on costume earrings to post and butterfly fittings. Laser repairs to most costume jewellery. Replating costume jewellery. With our help and loving care, we can give your costume jewellery a new lease of life! 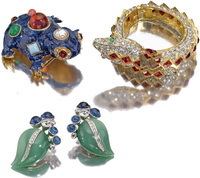 We have repaired costume jewellery by Corocraft, Crown Trifari, Christian Dior, Chanel, Miriam Haskell, Monet, Napier,Schiaparelli, Schreiner, Vivienne Westwood. 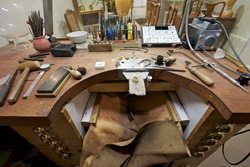 Our London Hatton Garden jewellery workshop can repair your beloved costume jewellery making it loveable again! In our Jewellery repair workshop our goldsmiths and laser technicians have all the tools and equipment necessary to fix and mend costume jewellery including costume rings, costume earrings, costume bracelets, necklaces, fashion jewellery and miscellaneous items.Simple repairs to broken costume jewellery - Complicated costume jewelry repair. 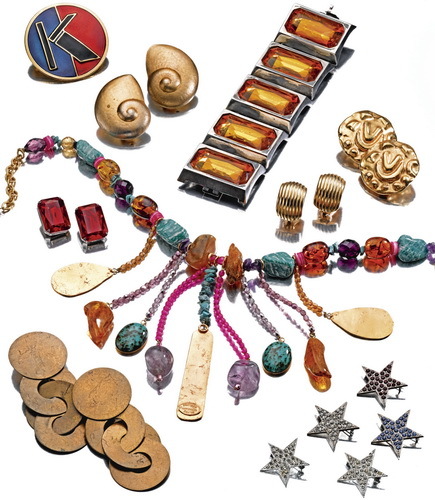 Repairing imitation jewellery and paste jewelry. However, some base metal is difficult to repair. 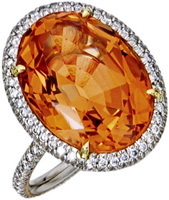 Before 1940 most imitation gems were made from glass with a high lead content. Such glasses were called paste because the components of the mixture were mixed wet to ensure a thorough and even distribution. So look through your costume jewellery chests and retreive your forgotten valuable costume jewels that need to be repaired. So visit us for a free repair estimate while you wait. 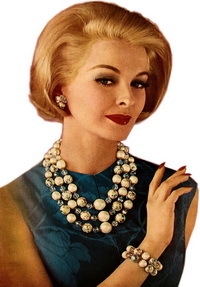 Or you can send your costume jewelry repairs to us by post We are closed Weekends and Bank Holidays.